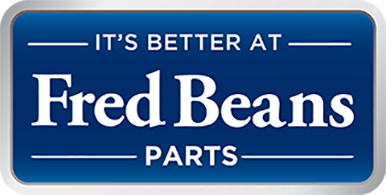 We are very proud to announce that Fred Beans Parts is now an authorized supplier of the COSTARS cooperative purchasing program. The COSTARS program provides Pennsylvania based municipalities a variety of choices and competitive pricing in fulfilling their infrastructure rehabilitation and other purchasing needs, while at the same time, eliminating the expensive costs of public bidding procedures. It is managed by the Department of General Services (DGS), which authorizes “Local Public Procurement Units” (LPPUs) and state-affiliated entities purchasing capabilities for supplies and services. COSTARS provides the registered LPPUs, state affiliated entities, and suppliers an invaluable tool to find and do business with each other effectively through the use of “COSTARS-exclusive contracts” established by DGS. Products currently being offered under the COSTARS program include: All OE Parts for the makes below along with special bulk purchases. The passage of the Commonwealth Procurement Code, Act 57 of 1998, authorized LPPUs and state-affiliated entities to engage in cooperative purchasing with the Commonwealth. In spring 2004, DGS developed the COSTARS Program to increase the cooperative purchasing options available to its members. In 2004, the General Assembly passed an amendment to the Code that expanded DGS’s authority, allowing DGS to enter into contracts exclusively for the benefit of LPPUs and state-affiliated entities. DGS has included these special non-Commonwealth agency contracts, known as “COSTARS-exclusive contracts”, as part of its COSTARS Program. All DGS contracts through which LPPUs and state-affiliated entities may make purchases, including specific statewide agency contracts as well as COSTARS-exclusive contracts, are part of the COSTARS Program. Flexibility – A wide selection of commodities and suppliers are offered to the +7,000 program members. Over 200 state contracts, with a pool of more than 2,000 suppliers, are currently available for use by participants. The variety of choices provide public agencies the option to keep their procurement dollars in their local economy, thereby helping to maintain and generate jobs and advancing local economic development. Participation in any COSTARS purchasing is completely voluntary; each member is free to obtain supplies and services through its regular procurement procedures. Cooperative Purchasing Requirements – Because the Commonwealth awards contracts through its own competitive bidding process, COSTARS procurements meet the cooperative purchasing requirements under the Commonwealth Procurement Code for local government purchasing. Best Value – Members have the ability to review prices and product information on the COSTARS website and may contact various contractors to receive the best value for their purchase. Factors considered may include administrative cost and time-savings, compatibility with existing equipment, delivery time, or keeping spending in their local community. Convenience – Using contracts established by DGS facilitates the purchase of supplies and services by simply issuing a purchase order to a contractor. Education – Free training, workshops, and a quarterly newsletter are provided by COSTARS staff to assist members on how to use contracts, how to purchase from specific contracts of interest, as well as other topics of interest and trends in government purchasing. Members will always have the assured stamp of quality that comes with each COSTARS supplier. Provided your organization meets the eligibility requirements outlined, you may register your local public procurement unit (LPPU) or state-affiliated entity as a COSTARS member by completing the online registration form or by calling the COSTARS team at 1-866-768-7827. Only LPPUs and state-affiliated entities who have registered with the Department of General Services (DGS) may participate in the COSTARS purchasing program. If you are unsure of your organization’s eligibility, contact DGS’s COSTARS team via the COSTARS e-mail at gs-pacostars@pa.gov, or simply fill out the online registration and submit the form. In either case, DGS will evaluate your organization and get back to you concerning your status.